With its famous landmarks, diverse shopping spots, and rich history, London is on the travel list for many tourists. Some people feel like they want to do more than visit the regular attractions. So what other things can you do in London? You can enjoy a stunning view of the city without paying too much for it. Tourists usually pay more to go up to the viewing deck of the Shard for a look at the splendid skyline. But you can order a drink and enjoy similar views from one of the bars, or even the toilet. If you’re looking for an Instagram-friendly hotspot, Columbia Road Flower Market is the place to be. The colors of the various flowers will do your feed wonders! Tell us what you would do on a trip to London in this quiz. Your itinerary will help us suggest a British delicacy you should try on your next vacation there! Who are you going to London with? I'm not going with any of them! I'm not going to stay at any of these places! What's the first place you're heading to? I don't want to go to any of these places! Choose a museum you want to walk through! I don't want to go to a museum! Pick a sandwich for lunch that's an English favorite! I don't want to try any of these! What drink are you ordering with your meal? I don't want to drink any of these! I'm looking at a different mode of transportation! Buy some souvenirs from the gift shop! I don't like any of these souvenirs! Choose one more attraction to visit! Choose a show to watch at the West End! I don't want to watch any of these! Take a look at the breathtaking skyline from one of these places! I don't want to view the skyline! Pick some pub grub for dinner? I don't want to eat any of these! You can't leave without a drink, right? Choose a picture of London to post on Instagram, #travelgoals! 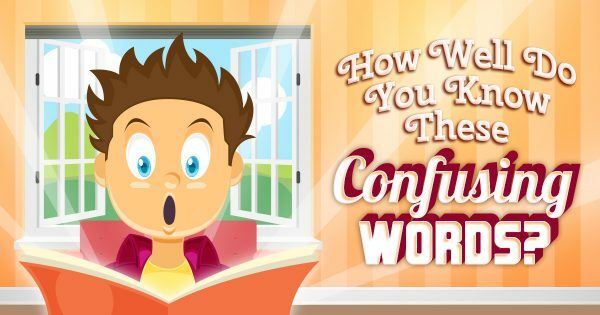 😯 How Well Do You Know These Confusing Words?